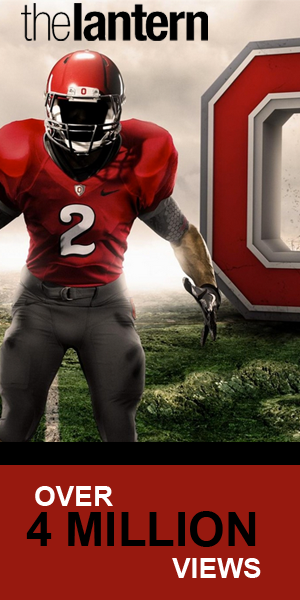 It’s time to breathe a little easier if you are an Ohio State fan. Questions were swirling for weeks about how bad the Buckeyes looked on offense, and how the defense had suddenly lost the ability to stop teams when they needed to. A 62-3 win over No. 10 Nebraska might just have quenched the thirst of OSU fans begging to see the team dominate once again. “Dominate” is an understatement when a team holds its opponent to just 204 total yards and a measly three points on the board. From the moment the first play from scrimmage commenced, there was a sense of arrogance by the Buckeyes, but not in a bad way. The team looked like it was unstoppable. Connecting on long passes and bulldozing the Nebraska defensive line while also stuffing the run and picking the ball off twice is a recipe to make any head coach smile. Even Urban Meyer, who decided to participate in an “O-H-I-O” chant led by the student section near the end of the game. It was more than just a blowout of a tough conference opponent. It was a statement. A statement by players who were itching to prove they weren’t just riding the coattails of the name emblazoned on their jerseys and in the endzones. There was passion and fire in the eyes of the Buckeyes, and just in time too. Here are five takeaways from the 62-3 beatdown of Nebraska. 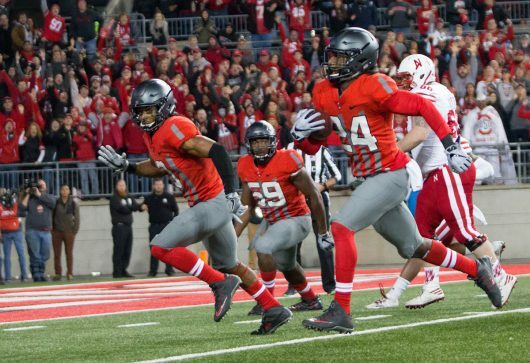 In back-to-back weeks, the Buckeyes defense known as the “Silver Bullets” looked like its nickname should be demoted to copper or bronze. Although statistically still performing well in consecutive weeks against Northwestern and Penn State, OSU gave up big-time chunk plays when the team was trying to get stops. That all changed on Saturday. 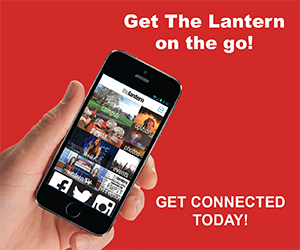 Cornhuskers’ senior quarterback Tommy Armstrong Jr. presented a dynamic threat like Penn State redshirt sophomore quarterback Trace McSorley did two weeks ago, with the only differences being that Armstrong has a cannon-arm and runs like an agile running back. Unfortunately for Nebraska, he was not in for most of the game. After a scary few minutes at Ohio Stadium where he lay motionless, Armstrong returned to the field out of pads. His presence in the game, both playing or cheering, was far from enough to push the Cornhuskers’ offense. And it wasn’t because Nebraska struggles on offense. 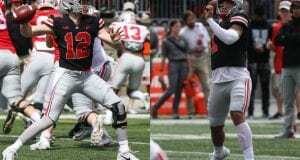 Simply put, OSU made the corrections from last week it needed to. The secondary played airtight coverage for nearly every deep pass play. The defensive line created a big push up front to register five tackles for loss, even though it failed to register a sack for the first time this season. And, most importantly, there was crisp communication throughout the entire OSU sideline. If this defense has fixed the dilemmas from early this year, the Big Ten should be warned. Redshirt junior quarterback J.T. Barrett looked scared to throw the ball down the field ever since throwing a pick and struggling to find wide receivers open against Indiana. 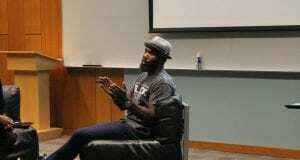 He was hesitant to chuck the ball more than 10 yards downfield, and seemed to be comfortable with playing pitch-and-catch with his running backs and tight ends. Against Nebraska, the freshman phenom Barrett was on full display. 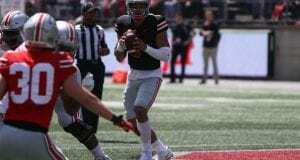 Although he missed a few deep throws that might have lead to a couple more points on the board, Barrett looked on the same page with his wide receivers and the rest of the offense for the first time since OSU defeated Rutgers 58-0. Meyer must have felt the confidence of Barrett growing since he decided to draw up the old Tim Tebow jump pass. A four-touchdown performance on a grand stage might have been all he needed to get back on the right track. Barrett had a little help though. Samuel received one less touch on Saturday than he did last week. Last time he had a dip in touches, it seemed like the entire OSU fan base was set to erupt. 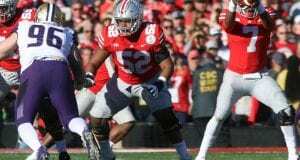 Meyer was heavily criticized for keeping the ball out of his hands and even had some saying that was the main reason for the loss against Penn State. Less touches this time around was a non-factor, as Samuel ran rampant for 178 total yards, most of which came through the air. He led the team in receiving touchdowns with two, and even got in on a punt return. The punt return went backwards five yards, but at least he didn’t muff the punt. Although a gifted runner, the pass-catching ability of Samuel was utilized to perfection, as the junior cashed in a performance reminiscent of the Bowling Green game to start the season. In the future, the idea might be to continue the trend of more looks for Samuel lined up as a receiver instead of in the backfield. When asked about Samuel, Meyer asked how many touches his H-back got. When media members responded with 13, the Buckeyes’ head coach had a simple response. “So he’s okay,” he said. Either way, the guy can find his way to the endzone. Anyone who loves offensive football had to be giddy watching the way OSU orchestrated its offensive drives. Like an artist carefully crafting a masterpiece, Meyer and the rest of the coaching staff drew up an offensive game plan to put the Buckeyes in multiple scoring opportunities, and the players executed. Execution was a question mark for OSU coming into the game, but there should be few question when analyzing the drive summary from this week. Only one drive took longer than five minutes for the Scarlet and Gray, and the team marched 75 yards or more for a touchdown on five separate occasions. The quick-punch and crisp movement by OSU made it seem as though the team was unchallenged on either side of the ball, even if both Meyer and his players insist it was a tough game for them. Jones hit on a key element to the blowout victory. “Late in the season we get it going” kind of summarizes OSU in games this year as well. The team has been a second-half unit, although Bowling Green and Nebraska are kind of the outliers. After Texas A&M received the fourth spot in the College Football Playoff poll, the Aggies promptly dropped their next game against Mississippi State, pushing OSU up. The Buckeyes are right there, but still need some things to go their way to earn a playoff spot. Winning the Big Ten title is definitely a priority for OSU at this point, but Michigan needs to remain unbeaten until the two rivals square-off, or hope Penn State drops another conference game. OSU still has to win out as well. 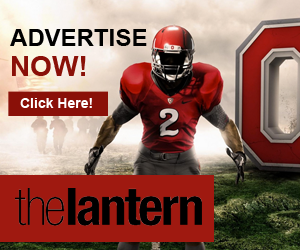 Meyer and the rest of the team will try to say they are just looking ahead to Maryland. That seems unlikely given how few games are left this year and how close they are to earning their way back into the playoff. Crazy stuff happened in 2014 that eventually led to a Buckeye playoff berth and an OSU national championship, so why can’t it happen again?